The top blogger got hitched to RG Gabunada on Sunday, January 15! 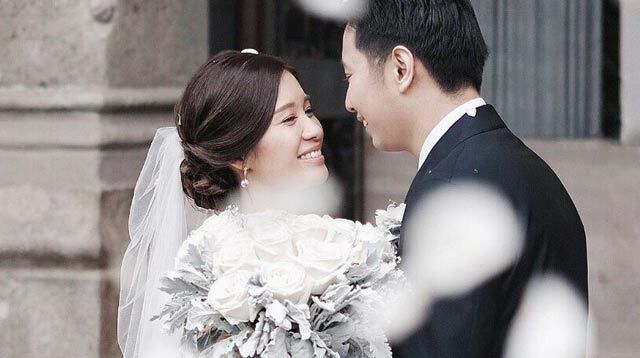 Blogger Tricia Gosingtian was a picture of timeless beauty during her wedding with fiancé RG Gabunada on Sunday. The couple tied the knot in the historical Manila Cathedral amongst their closest family and friends. Here are the ~*dreamiest*~ photos of Tricia and RG’s wedding! Among Tricia’s blogger guests were Laureen Uy, Nicole Andersson, Kryz Uy, Patricia Prieto, and Camille Co (not in photo). Tricia and RG celebrated their wedding reception at the Conrad Manila.